Sometimes a house is more than a place where you live and create your story, sometimes we find a house that has a story of its own. 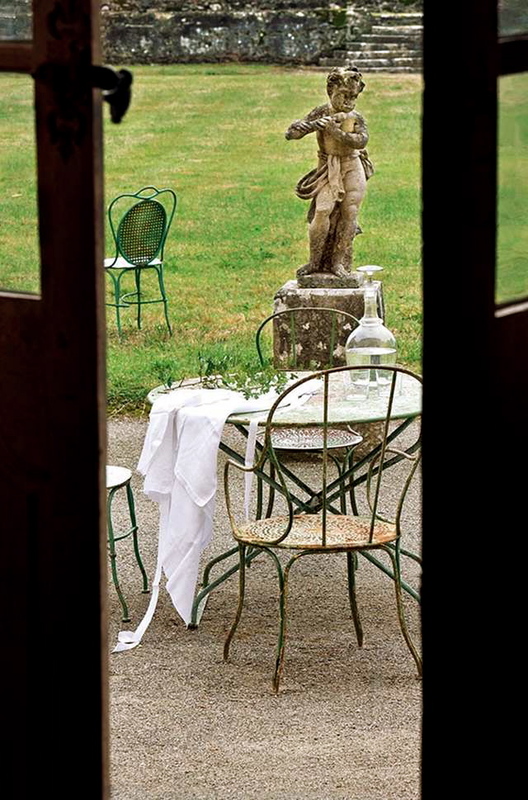 Aurélien Deleuze and his wife, Pascale, felt in love the moment they saw this 1700’s chateau that was built by an abbot who was knighted by Louis XIV. 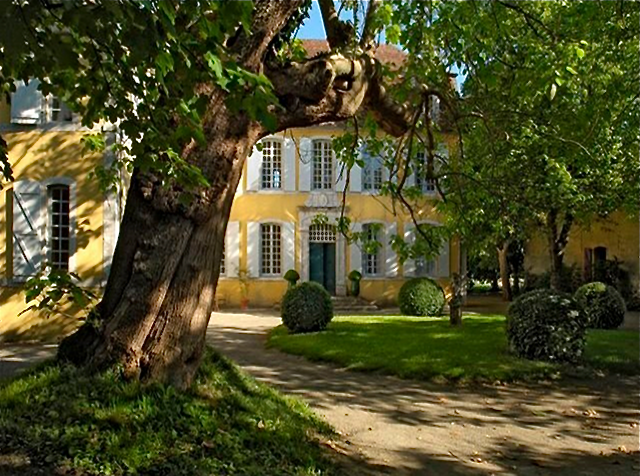 This beautiful place is located in the town of Pau, in south of France. The chateau definitely needed work but this didn’t frighten these two lovers of architecture and interior design. After a careful restoration, where they preserved all the beautiful details, the family finally could call it “home”. 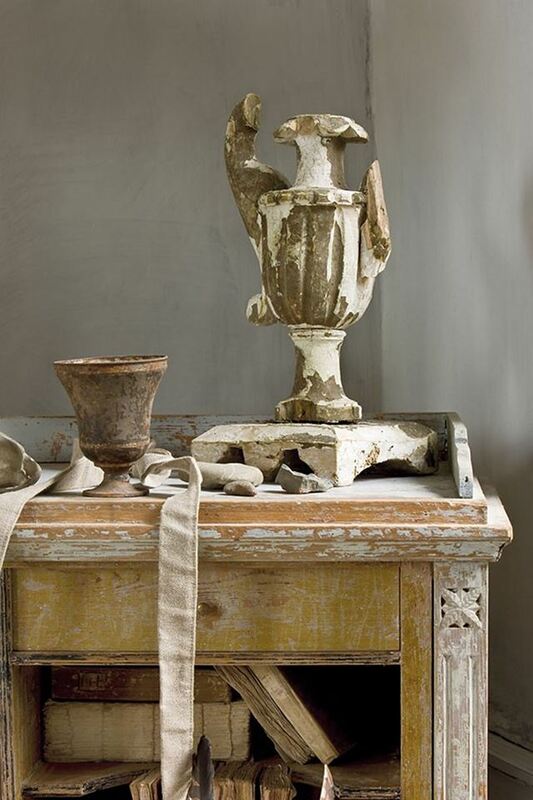 The owners found gorgeous antiques in Parisian flea markets and every room is tastefully decorated. Inside, you’ll see gorgeous stucco ceilings, original floors, a large kitchen with an impressive fireplace from the 1600s that spreads warmth and comfort. 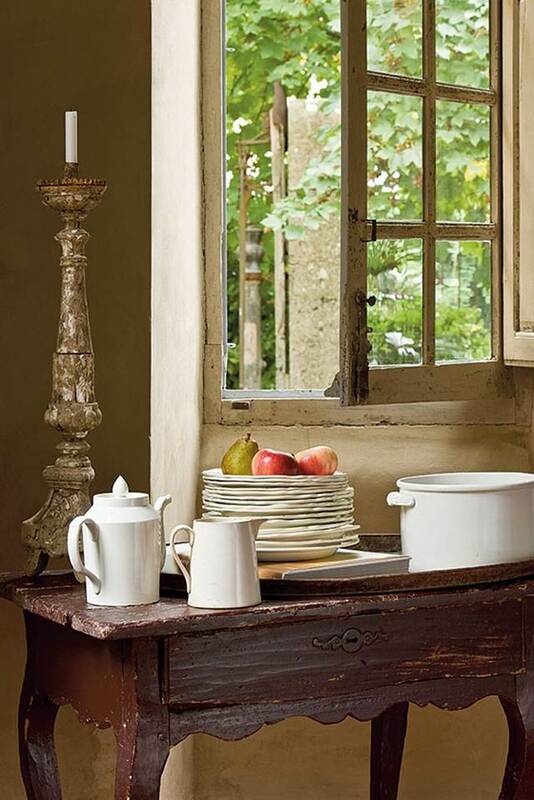 In the dining room, a rustic table of chestnut planks is where the family gathers together with friends for long, traditional French dining. 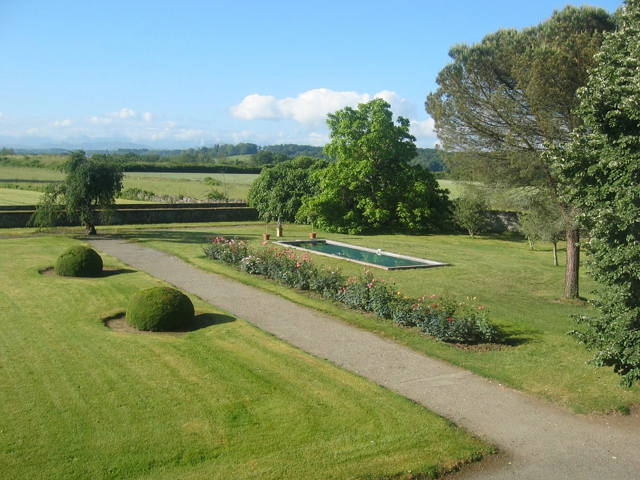 The gardens would inspire anyone, with green lawns, an organic pool, roses, fruit trees and unbelievable mountain views. This foyer is truly special with this oak staircase and the ceiling details are impressive. 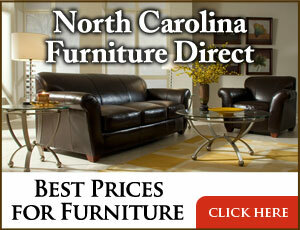 Neutral furniture and antiques are the best way to create a room with personality and calmness at the same time. 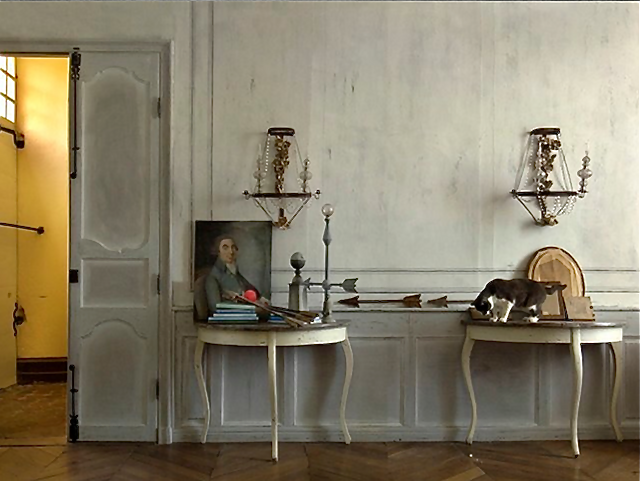 What a beautiful Gustavian secretary! The Italian chandelier is from the 1700s. Italian timber from the 1700s and a antique Swedish secretary. About the walls: The one responsible for the renovation of the walls was Arnaud Lassus. He is an expert when it comes to the patina. 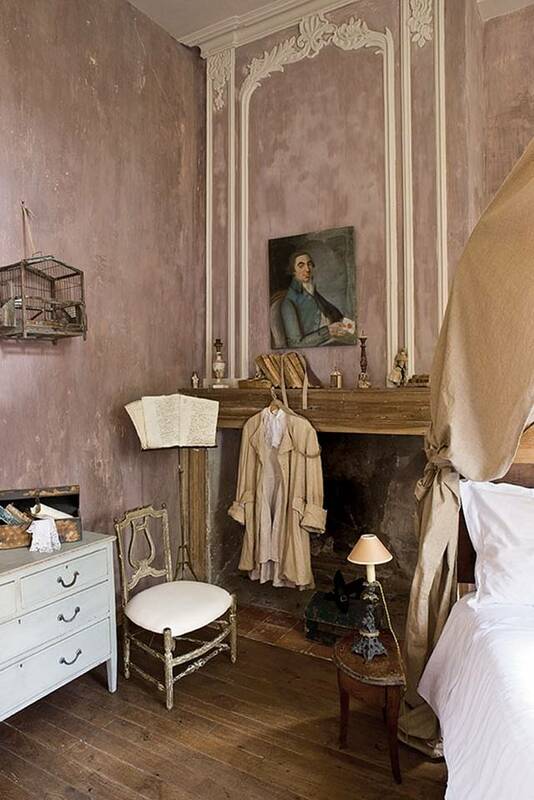 First, he cleaned all the walls and put up linen wallpaper, which he painted with lime paint. Then he waxed them, painted them again with materials and colors reflecting its original style. The result is fantastic! The fireplace is from the 1600s and the chandelier is from the 1800s. 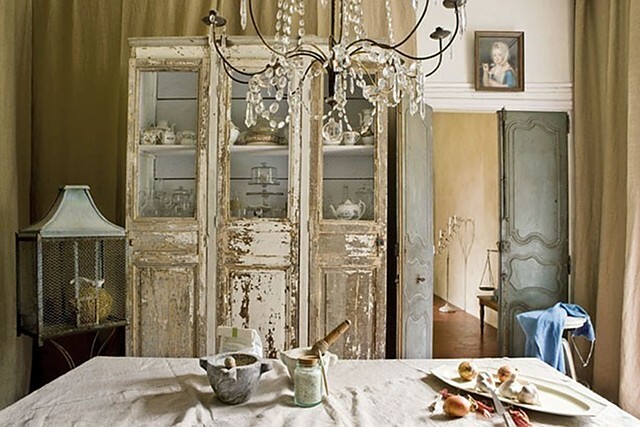 Believe it or not, this china cabinet was built with a pair of old doors the owner found on the property. I wish I had this kind of vision and skills. You should decorate your house with things that surround your home. 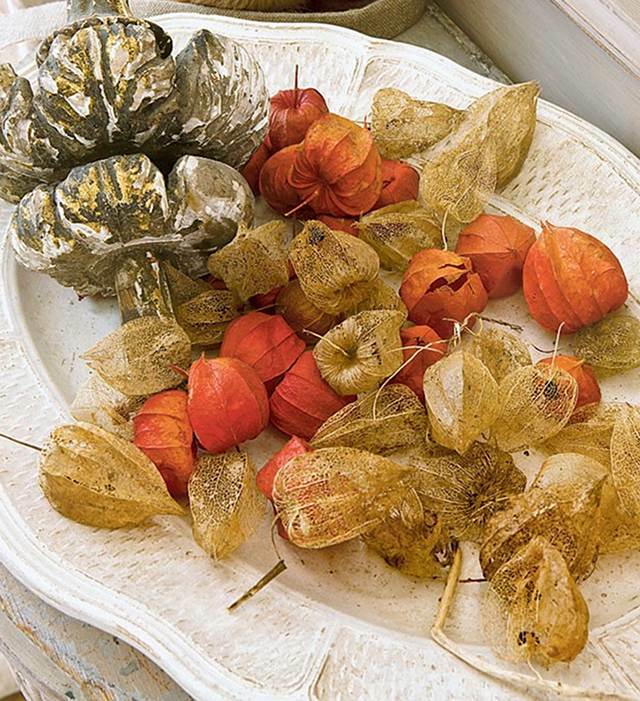 These dry flowers comes from their garden. Doesn’t it look amazing on the white plate? 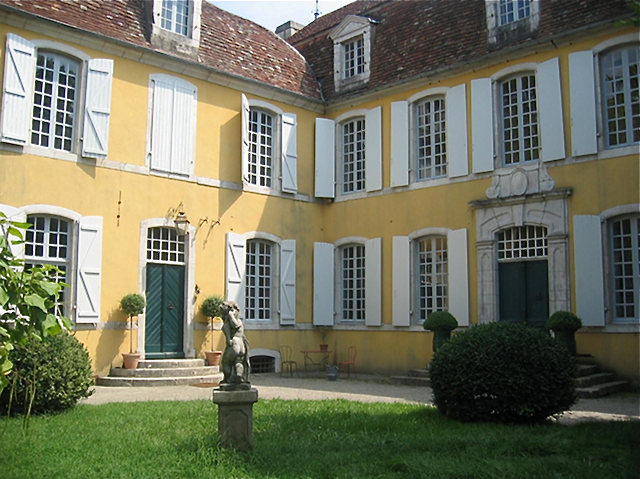 Everything about this chateau is really unique and beautiful. Nothing was overlooked in this place. Beautiful sconces. 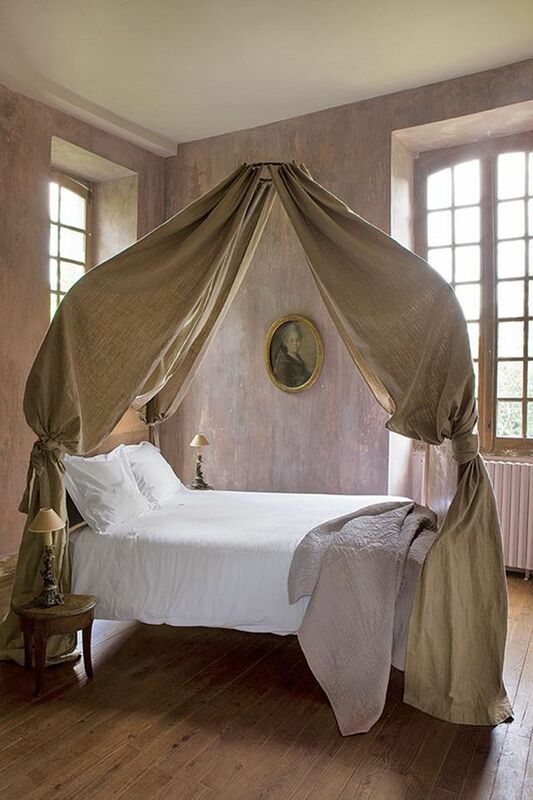 This room is like a dream! 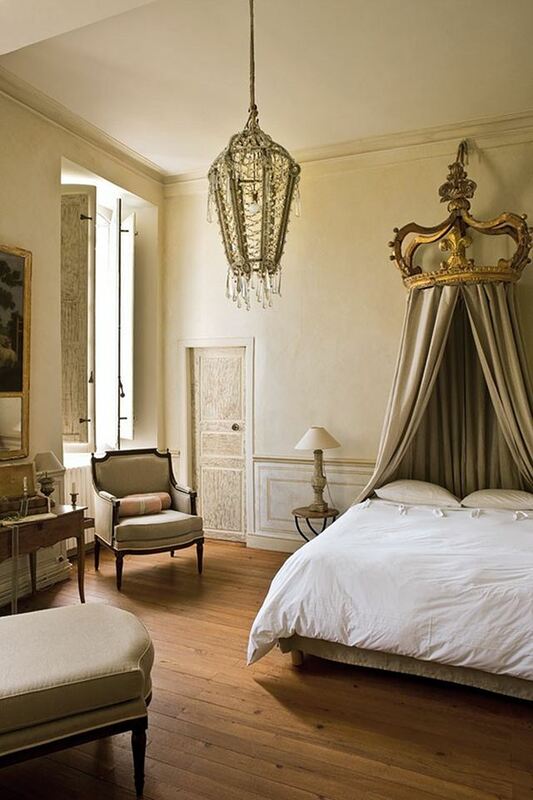 Who wouldn’t feel like “royalty” sleeping on that bed? Having a fireplace makes this guest bedroom even more inviting. I won’t forget this bathroom very soon. 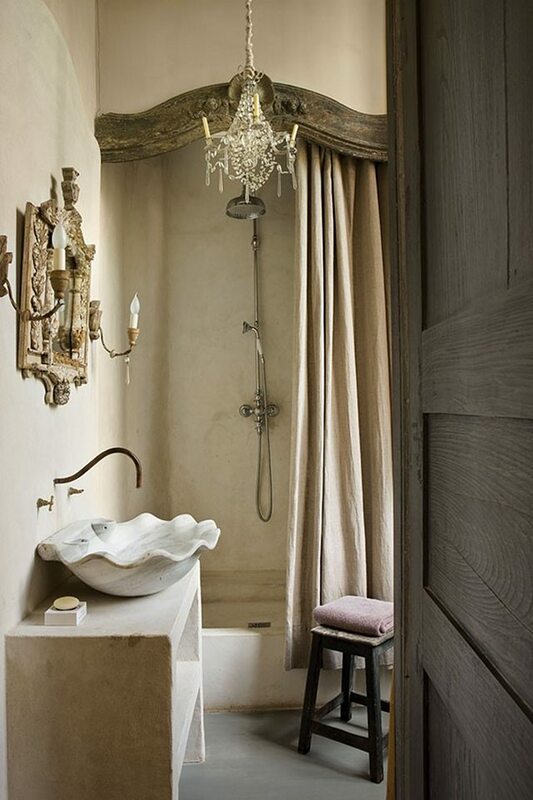 The sink, the hand-carved mirror, the antiqued sconces, everything is simply outstanding and so well chosen. Just bring me my coffee and my favorite interior magazine. And silence… only the birds would be allowed to sing. Having a rose garden by the pool is very romantic. I’d love to swim there smelling the aroma from the roses. 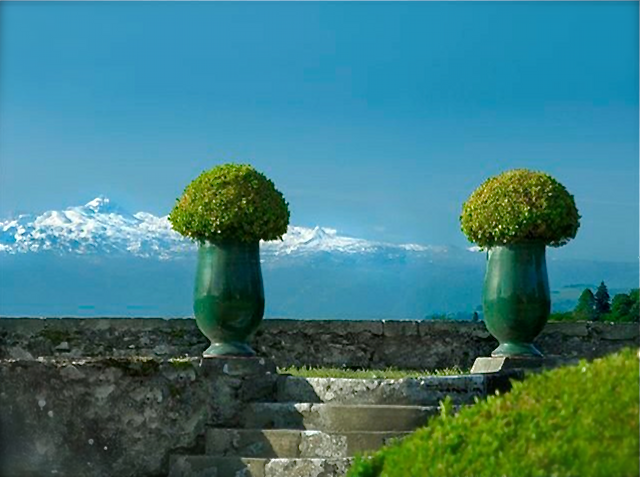 The Pyrenees mountains are the jewels from Southern France. They’re located between France and Spain. Seeing a place like this and people that are passionate about where they live is truly inspiring. Have a blessed week. I wish you a really peaceful yet productive week. Prioritize things that makes you and your loved ones happy. After all, shouldn’t life be about that? Source: Mixr (photos by Gilles Trillard), Property’s website: Magie des Lieux. Eu adoraria morar num lugar como este e ainda por cima, nos Pireneus, adoro clima de montanha. My dream house! I love it — so elegant! Going to France in 2 years, can’t wait to check it out! oh the textures, L.!!! i want to physically touch the screen and smell the air of the countryside, you know? these images are lush and gorgeous and dreamy. it’s going to be a busy week away from the laptop, but i’ll be back! come visit me–i always look forward to your thoughts and comments. okay, i just love this place. there isn’t one room that I don’t like. i would so move here in a heartbeat. thank you Luciane for sharing this, so gorgeous. 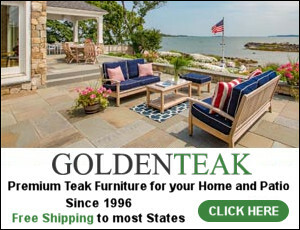 Thank you for visiting my blog and how fun to find yours! They did a beautiful job restoring this home. Great blog, by the way. I will be linking you, hope you don’t mind. Have a great week! oh. my. god. the floors!!!!!!!!!!!!! i am adding you to my sidebar as your photos are so beautiful. ps – thank you for the lovely complimnet today. i’m 53 and feel 35. I adore this look. What a beautiful home!!! Well, I have to say that I’m not sure I like this one. Gasp!! Yes, I know I always rave on about how much I love the houses you post and I hope that me saying I *don’t* like this one will show how much I mean what I say re: the others! I just feel that there’s not really a cohesive look here but a bit of a mish-mash. Is that okay to say? Shall I stand in the naughty corner! Haha!! Such a beautiful home. 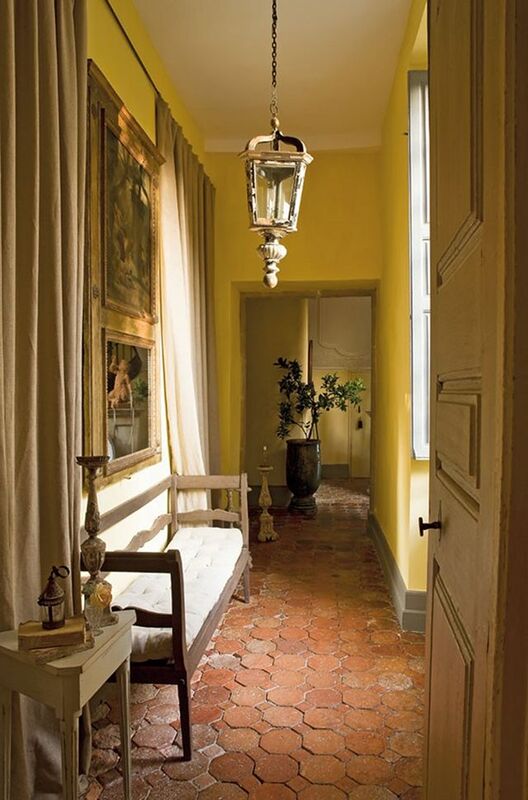 Love the tiled floor and the chippy hanging lantern. That was they eye candy of the day. Thanks for the explanation of the linen and waxed walls. Fabulous!! Hi Luciane! Hope you’re off to a beautiful week! It sure looks like it! I like the idea with the coffee, interior magazine and the singing birds – oh, yes, that would be perfect!!!! I’ll join you! Have a lovely day! This place is stunning. Nice colors and gorgeous decor. I guess I just don’t get it. What happened to “less is more”? Seems to me they used too many “antiquey” looking things that made some of the rooms look like a pile of junk. The grounds are gorgeous! This house is my dream home!! I just love all of the neutrals and textures. That bathroom is to die for!! Thanks for visiting my blog and leaving me such a sweet comment about my bedroom. It’s so wonderful to get nice response on a project that you worked so hard on. This is gorgeous…i was hooked at the very first photo! Really beautiful inside and out! Glad all your chores are done and now you took us to this beautiful place. That view is fabulous. hi, Luciane, you are always so sweet to come by & see me. 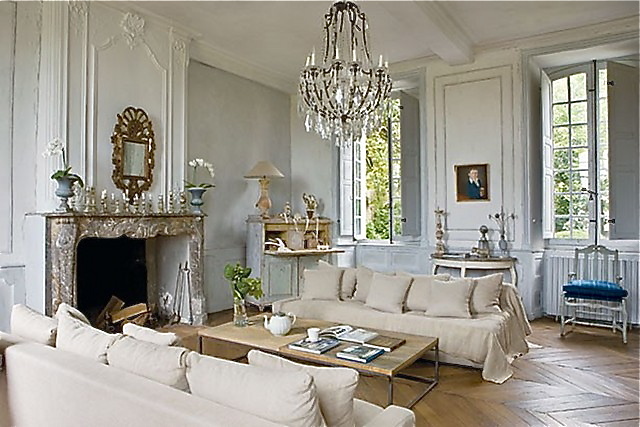 What a beautiful French chateau, wow for sure! You feature some gorgeous homes around the world. Have a great week! Gonna be a busy one for me. Luciane, what a KILLER post. I spent as much time looking at your images as I do most design magazines. 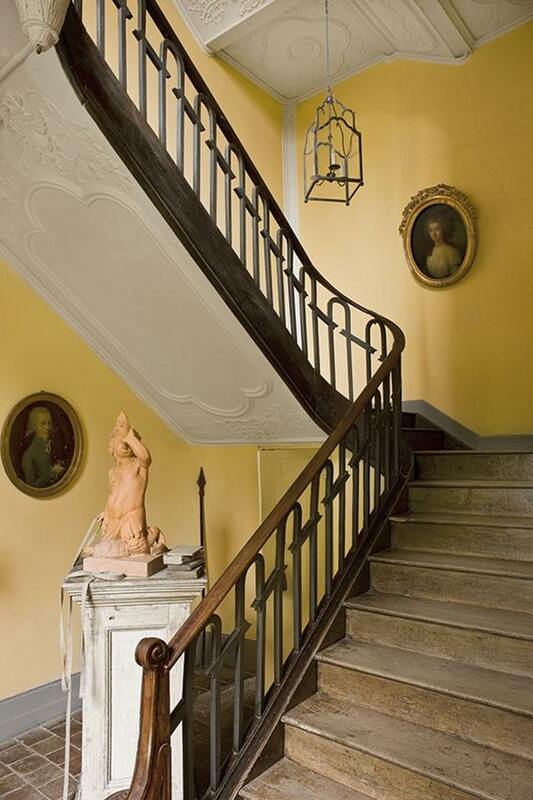 Although there are so many amazing pictures, I absolutely loved the foyer oak and iron staircase and the textured treatment on the dining room walls (thanks for the description, never would have guessed linen w/p with lime paint and waxed!). I also really liked the guest bathroom… the sink, antique sconces and architechural pediment at the shower opening were stand outs to me. Thanks for another great post. Wow, gorgeous home. They have done a beautiful job restoring it. 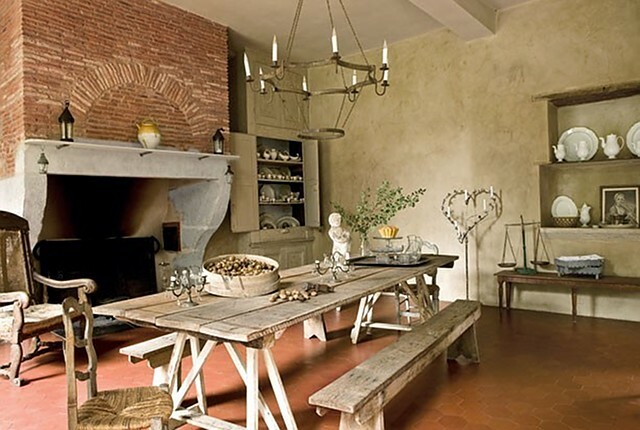 I love the kitchen, that huge brick fireplace is incredible! You made me dreaming again today!!! 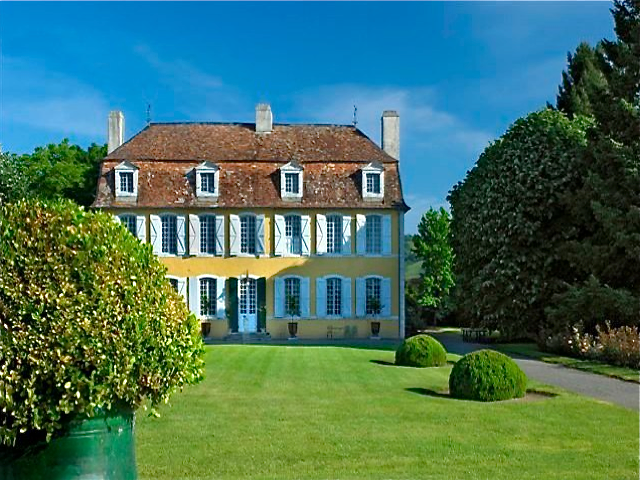 It is just a gorgeous château, isn’t it? Dreamy worthy!! 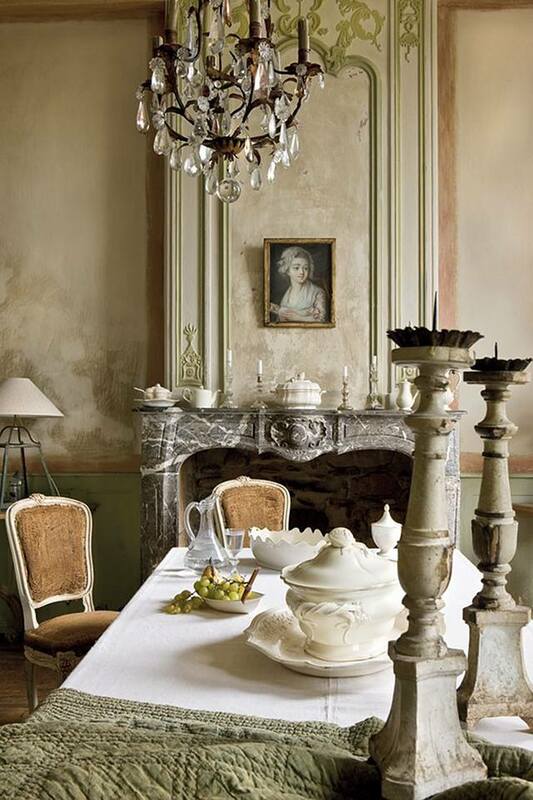 You know I was laughing…if I saw those chipped walls somewhere here on American soil I would scoff at how decrepid it looks…but in a gorgeous French home…its tres chic! 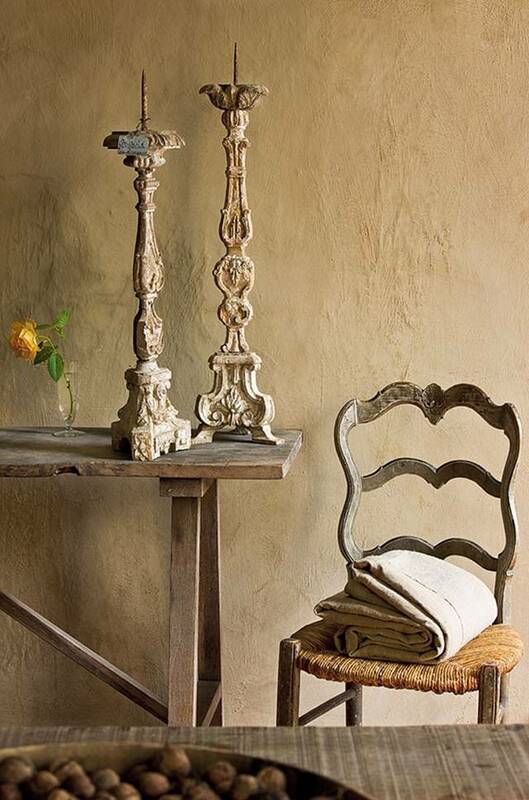 Love the rustic and elegant interiors….the colors, the textures…all perfection. Love love love it. Great job as usual! absolutley stunning! i saved a few pictures – they are so gorgeous!!! onto the web site now. This is a very lovely home. Simply classic. I just love these kind of architecture and designs. Gorgeous… I just fell upon your blog and saw these magnificent pictures.My relatives live in Pau and love it there, it has a very pleasing micro climate. As for me, I learned how to ski at 2 and grew up in the Pyrenees!